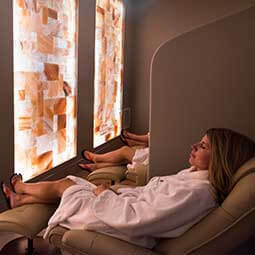 Spa services designed to energize your soul. We believe that one day can change your life. 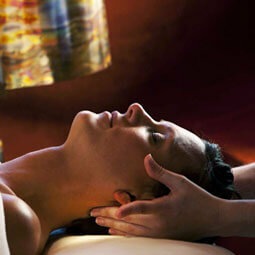 Our spa treatments blend ancient wisdom with modern wellness to deliver good-for-you benefits. Time to disconnect and recharge, in that order. Spa hours are Monday through Friday 9 a.m. to 9 p.m. and weekends 8 a.m. to 9 p.m.
Plan to enjoy a spa service during your visit? Bring your completed spa health intake form with you to make check-in a breeze. After all, we want you to start relaxing the moment you arrive! We strive to honor our overnight guests with the most calm and accommodating atmosphere possible. To that end, we require day guests reserve a minimum of two services on Saturdays, while still enjoying access to our spa amenities. Because of our commitment to peace & quiet, groups may be limited. For group inquires ring us up at 888.735.8181. Our new woodland suites in the woods were designed with groups in mind. Ideal for girlfriends, golf buddies, mothers and daughters, book clubs and more. Inquire about group dining options, food and wine pairing demonstrations, spa treatments, yoga instruction and recreational activities when reserving. We love playing host to celebrations, including engagements, honeymoons, mini-moons, baby-moons, anniversaries and birthdays. Graduations, promotions and career milestones count too. Reserve a day or overnight package, and then relax and enjoy everything your heart desires. Very spa-like nail, hair and skin bronzing services. Restore what the stresses of modern life take away; after all, this is the window to your soul. Treatments to soothe sore muscles on a path to feeling better. Benefits of our stress-melting body scrubs and wraps are bountiful. 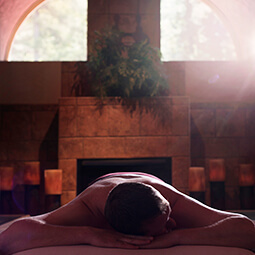 The age-old healing practice of “taking the waters” lives on at Sundara. He’ll feel instantly comfortable at the spa thanks to treatments designed for men. 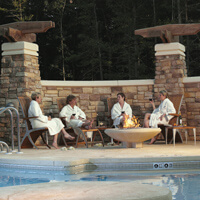 Your very own spa day or spa together experience plus bridal packages. Every mom-to-be deserves nurturing and pampering. Small group and business gatherings find Sundara a pleasant change of pace.